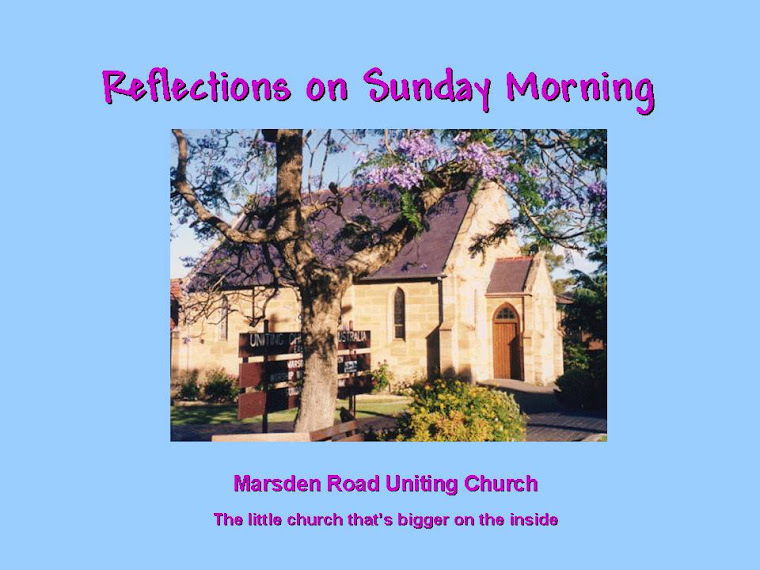 I try to vary the form the blog takes and today I thought that the hymns were very uplifting, so I intend to focus on them. These verses framed our mental and spiritual approach for the next hour, focusing our attention on the One who is the reason for our being, not just our attendance at this service. It is easy to lose sight of our centre and think the things we have or the things which are happening are random or “natural” if they are good and bad luck if they are not. God is the author of all good but if we or others mess with His plan there are consequences. “Make me a Channel of Your Peace.” How many of us pray to God hoping that our plans or wishes will be fulfilled? We are the servants of God, not the other way around. And God is not there to fight our battles like some sort of big brother. God's plan may not coincide with ours (who would have thought?) and it is the words of this hymn that give us an idea of how we are to carry out that plan as difficult as it might be for us, being humans who are basically fairly selfish. “May the Mind of Christ my Saviour live in me from Day to Day.” I was sitting at the back of the church and could see so many people swaying in time with the music as they sang. Their whole bodies were absorbing the music with the intent of the words. What if we meant these words 100%? What a world it would be! What if we opened ourselves to be changed to be like Jesus? But I think we all secretly keep at least a little back to cover our own wants. “Marching, Marching, in the Light of God.” Whether we are marching in the light of God, or living in the light of God, or moving in the light of God, or doing anything at all in the light of God we would be guaranteed to do God’s will and stop messing up in the way we all do so often. That's not to say that we always mess up but if we keep living in God’s light all the time instead of when it's easy, everything would be so different. “May the feet of God walk with you.” Sometimes I think this is the best part of the service when the prayers and reflection have brought God’s voice to us and have done their work in us and we are at our very best in terms of our intent to our fellow humans. Here we have the evidence of what has been said above. If we were like this always. Wow! What a World! The early Christians adopted a simple drawing of a boat with a cross for a mast as the symbol of the church. In an age of persecutions from the outside and controversy and conflict on the inside, in their experience, the emerging church must have seemed like a boat on a storm-tossed sea. Recalling the story of Jesus' calming of the sea, like those first disciples in the boat, the early Christians must have joined in their desperate prayer, "Teacher, do you not care that we are perishing?" Little has changed in the intervening years. The winds of change and the waters of chaos continue to beat hard on the worldwide church and the people of faith. Christians are still being martyred in shocking numbers in tribal, ethnic, and religious wars around the world. At home, the church is fiercely divided around issues of authority, liturgy, sexuality, and cultural diversity, so that members to each successive leadership body such as Synods and Assemblies must arrive with feelings of foreboding as they look to the business before them with suspicious eyes, preparing to build alliances of power to bolster their respective sides. Today, the prayer of many in the church is: "Teacher, do you not care that we are perishing?" Our private lives are not spared stress and storm as our individual little boats are tossed about by the waves of economic uncertainty and change, war, divorce, sickness, and death. 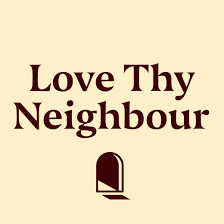 Hardly a week goes by that we do not face the fearsome realities of these events, either impacting us personally or our neighbours or our friends in the church, and nightly the troublesome images of television news intrude into our homes from the larger world. "Teacher, do you not care that we are perishing?" In Mark 4 the gospel reading for this week, Jesus calms the wind and the waves and says to the tense disciples, "Why are you afraid? Have you still no faith?" He surely intended the link between faith and fear. The opposite of faith is not doubt or unbelief; those tend to be doctrinal differences. No, the opposite of faith more often as not is fear. We fear the unknown. We fear the undiagnosed lump in the breast, or the persistent cough. We fear Swine Flu, Ross River Fever or Dengue Fever. We fear losing control of our bodies and our health because of aging. We worry about how changes in politics, technology, or the economy will influence our jobs and the income from our savings and retirement funds. Fear is like waves ever seeking to knock us off our footing -- our faith footing. When facing fear, a priest once told people about how he could be so calm during such times. He explained that in his childhood he had very little supervision from his parents, so he spent many hours each day at the beach. Sometimes a huge breaking wave would catch him by surprise and thrust him under the water, rolling him in the sand. But he said that he learned just to relax and see the thousands of air bubbles as the fingers of God catching him up and lifting him to the surface. Now, whenever he found himself in trouble, he just relaxed and waited for the fingers of God to reach under him and lift him up." Faith is a stance toward life. Back in the Cold War, when we were all living with the possibility of nuclear holocaust, some researchers interviewed children to see how worried they were. What they discovered was that the children with the least fear were those whose parents were active in nuclear disarmament, or who regularly attended church, or who were deeply involved in the social issues of their communities. These parents did not feel hopeless in the face of tremendous challenges. They invested themselves in actions to change the world around them and remained optimistic that what they could contribute would make a difference. As a result, the attitudes of the parents infected the emotional and intellectual stance of their children. These children did not feel helpless as they saw parents and others doing something toward resolving problems. "Why are you afraid? Have you still no faith?" In these rather impatient words directed to his disciples, our God through Jesus brings into focus the polarities of faith and fear. Faith is a stance of how we stand up to those things that would threaten us and how we manage our fears, and this makes all the difference. In the midst of troubles, try reaching up your hand to God and saying, "Help!" And when you reach your hand out to others around you and say, "Help!" the fingers of God will never fail to reach down and lift you into new and reassuring experiences of God's grace. Come! Here you will find a family of faith where you will always belong. Come! Here you will find friends who will love you as a child of God. Come! Here you will worship a King who rules with equity. Whoever you are, and wherever you are on life’s journey, you are welcome here. All who need a place to belong . . Come join the family of God. All who seek spiritual brothers and sisters . Come join the family of God. All who strive to grow in faith and love . . . Come join the family of God. Loving Mother, Caring Father, in the midst of our brokenness, knit us together as your family. Heal our wounded hearts, that we may welcome the strangers into our midst and treat them as beloved sisters and brothers. Sovereign God, we so often lose our way. You seek to be our King— to lead us on right paths; to teach us the ways of truth and life; to shelter us from our foes, yet we look to the rulers of this earth for leadership, wisdom, and strength. You seek to be our comforter— to love us as our Father; to nurture us as our Mother; to shelter us as our Brother; to assure us as our Sister, yet we look elsewhere for love, compassion, and hope. When our government fails us, and our families disappoint us, you alone remain faithful and true. Open your arms to us once more, O God. We will be your people, and you will be our God and King. Christ looks to each of us and says: “Here are my mother and my brothers. Here are my father and my sisters. Whoever does the will of God is my brother, sister, mother, father.” As the family of God, as brothers and sisters of Christ, we are loved and forgiven by our gracious God. Thanks, be to God! As the family of God, let us share signs of familial love and compassion, acceptance and forgiveness, as we pass the peace of Christ. Jesus’ family were not impressed with his performance nor were they happy about all the attention he was getting. They decided that he had lost his sanity and went to take him away. The teachers said he was using the power of the devil to do his works but Jesus set them right by pointing out that it wasn't possible for Satan to drive out Satan. He went on to speak in parables along the same line but the radical move came when he was told that his family were outside wanting him and he reached out to those around him and said that they were his family. Who Really is the Strong Person? The following is a shortened form of Rev. John’s sermon. After hundreds of years of crying out to God, this people seemed to have forgotten the one who not only answered their prayers, but the only king who has the supernatural power to answer them. The elders wanted a human king like all the other nations..
Like many of us today, however, the Israelites were not willing to be led by God while they waited for the King of kings whom God promised. Through the miracles, signs, and wonders that God had shown them throughout their liberation from multigenerational oppression, the Lord more than proved that he had all the attributes they were seeking in a leader. The term power is a constant in everyday language. We talk about power in the contexts of business, government, even the church. As the Gospel of Mark reminds us, however, only Jesus Christ has true power. Through Jesus, we have the gift of forgiveness of sins. When Jesus died on the cross, it would seem as if He had been defeated. But on Easter Sunday morning the rest of the message was received. Jesus defeated the enemy! And we can rejoice today. The World’s Strongest Man has defeated our enemy! we go forth to build God’s kingdom. we go forth to proclaim God’s glory. we go forth to be Christ’s family. Rev. John began by bringing to our attention God’s knowing everything about us, even before it happens, before we do it or before we say it. This brought to mind other thoughts: Why do we try to run our own lives when God is the author of everything and even knows when we are going to depart from his ways… and the consequences of such actions? This in turn jogged my memory about: “When all else fails, follow the instructions.” The maker knows best how creation, including us, should operate. I was also reminded of jokes such as ones about people trying to push the “pull” door and getting nowhere, all leading to a total lack of effective result. But we still continue doing the wrong thing, no matter how often the result of such action ends badly. Then there is our almost laughable habit of trying to hide our sins, silliness, and mistakes from God. Really! This is so silly, firstly because God knows everything about us and secondly, because God loves us fiercely anyway because God is love and can do no other. Almost immediately another thought sprang up. Not only does God know everything about me and loves me but God knows everything about everyone and fiercely loves them too. Even people I don't like. Even people I disapprove of. Even people who I would judge are breaking God’s laws. The corollary to this is that if God loves these people then I should too. They may irritate me. I might irritate them. But we need to love one another. And not just because God demands that we do, but because the world works best that way. It is said that we are the children of God. Think about how we love the children we know. We love them despite their errors and mistakes. That's how God loves us, only times a million trillion. We are to love others…not because of anything about them but because all people are worthy of love as demonstrated by Jesus’ attitude and actions to people during his earthly ministry. That not only makes a better and happier world but it makes a better and happier life for the people we love and not so amazingly, it makes a better and happier us. All those thoughts came to me because of Rev. John’s introduction but then when we sang, a further aspect was added: “There’s a wideness in God’s mercy”. God’s mercy, his forgiving love for us is not just wide but beyond “the measures of the mind”. Our minds are capable of imagining or inventing anything and everything but God’s merciful love is beyond even that; beyond any limit. That merciful love was demonstrated when Jesus, setting his face to Jerusalem and facing certain death, continued to spread the message of God’s kingdom. In some parts of the world ordinary Christians can be in the same position. In Australia, we are not likely to be killed for continuing to spread the Word of God, although if in doing so we offend desperate people we could lose our lives, as some have. But for most of us the worst that is likely to happen is that we may be judged fools or miss out on a promotion because we are unwilling “to play the game”. However, regardless of the cost of following the command of our God, we cannot do anything else. We can hardly deny the truth we know because it lands us in a difficult position. When torture and death have been the outcome of staying true, many have denied their faith and we all understand the dreadful fear they experienced, but on the other hand we also know that under the surface they knew the truth is still the truth. Jesus and others did not turn away and it was Jesus’ love for us that motivated his courageous strength. It was that love which was celebrated in the part of our service that followed. It was that love we remembered and celebrated as we broke the bread and drank the wine…a ceremony that strengthens the bonds between us and our Lord and between each other, building the church and in doing so, God’s kingdom.